Hey guys! So, this one isn't really a DIY, but it is an interesting tip that I wanted to share with you. 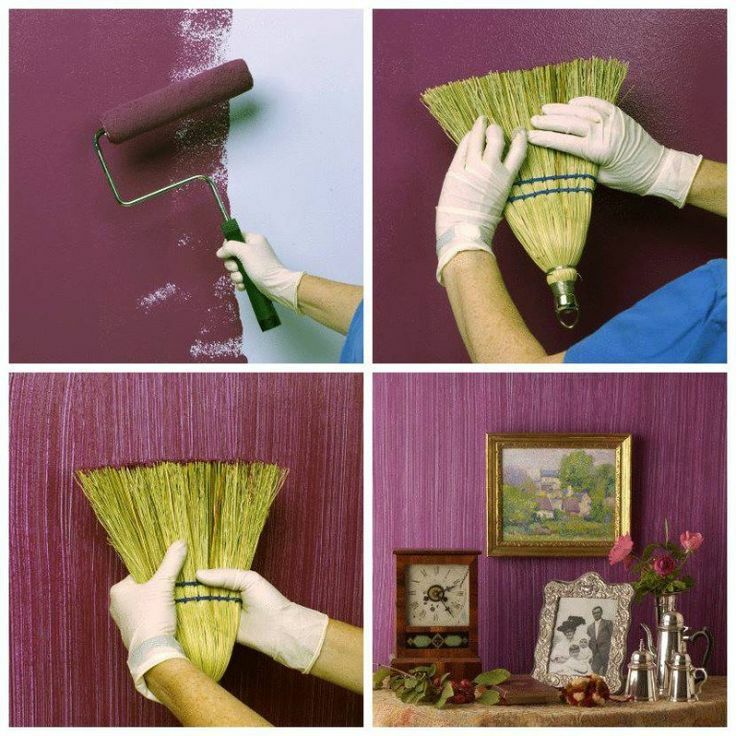 If you're painting walls and want to add texture, use a wet broom and run it down the walls. First, use the paint roller to paint the walls (as if you were just painting the wall normally). Next, get the broom wet and drag it down the still wet paint, creating this texture on the walls. Let the paint dry and then admire your beautiful new walls!